WordPress is an ideal platform for pod casting, which is defined as the distribution of video or audio content through Atom or RSS2.0. 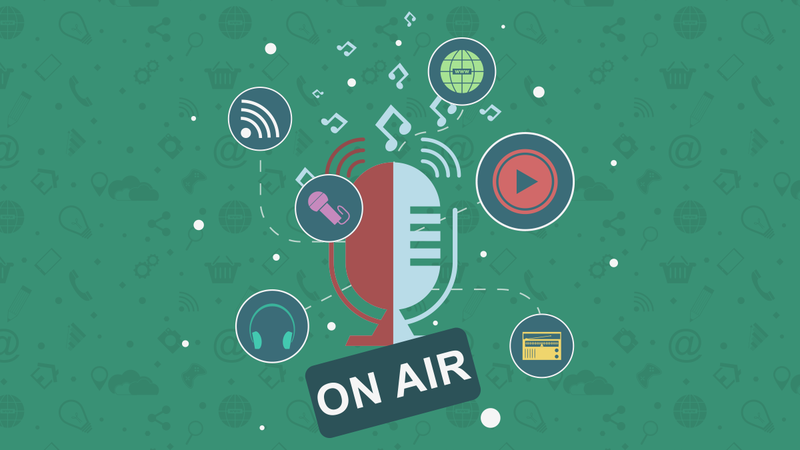 The use of podcast clients allows your listeners to subscribe and download your multimedia content as soon as it is newly available. Popular podcast clients include Juice, CastPodder and iTunes, and these are places you will want to make your podcast content available on. So, How Do You Set It Up on WordPress? Fortunately, WordPress makes it easy for you to share podcast content. Create the MP3 or MP4 file of the audio or video content you want to share and upload it to a server. Create a link in your blog post to the file you have just created. WordPress will include an automatic link in your Atom or RSS feed so your listeners are updated automatically if they are subscribed. What Do You Need To Be Able To Do Podcasts On WordPress? All you need to start podcasting is a functional WordPress website and administrator access and a few extras. You need to install the WordPress audio player plugin, and then create your audio or visual clips in the correct format (MP3 or MP4). How Do You Install The WordPress Audio Player Plugin? Go to Plugins | Add New. Enter Audio Player in the search field and click the Search button. Click the Install link associated with Audio Player. When prompted, enter the credentials for the user who has FTP permissions to your host/server. Wait for the installation to complete and then create a new directory in the document root of the server to house audio clips. Podcasting is seamlessly supported as of WordPress 1.5. Add a link to an audio file in a post and WordPress will automatically add the necessary enclosure tag to your RSS2 feed to make it useable as a podcast. Important: Use a complete, absolute URI when linking to the audio file. Otherwise WordPress will not make an enclosure for it. Open up Audacity and pop open the Preferences: Devices screen (see below). Make sure that you set your “Recording Device” to your external USB (or other) microphone. Since I use an XLR microphone with a USB interface, that’s what you’ll see in the screenshot. You will also want to set the recording to mono (one channel), since that’s likely what your microphone will be recording anyway. Before you start your recording you should play around with your voice, your pauses, any external sounds you might want to introduce, and the way you put it all together. You can experiment with different effects and look for different ways to make what you do stand out. It is important to remember that iTunes gives you additional opportunities to ensure that your podcast is categorized correctly. To take full advantage of this functionality, you should ensure that you include information for a summary, your preview image, the podcast owner, its sub title, the required keywords and an explicit tag. Once your podcast is complete you should also submit it to the iTunes store, for which you will need an account to be able to do so.